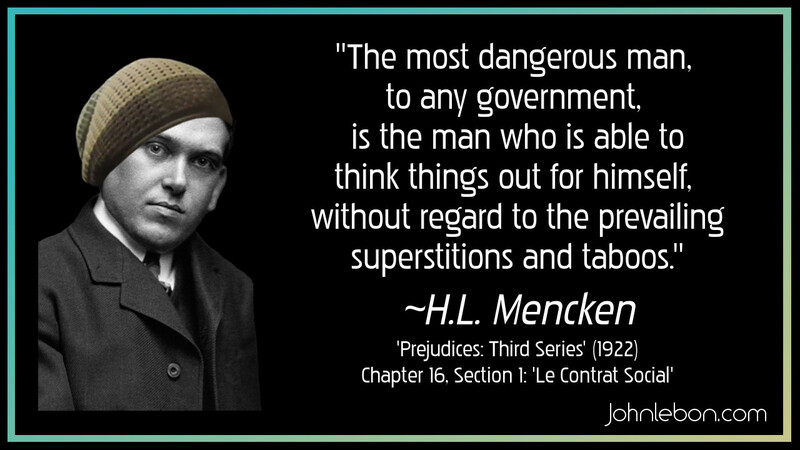 Henry Louis Mencken (1880-1956) American writer and social critic. 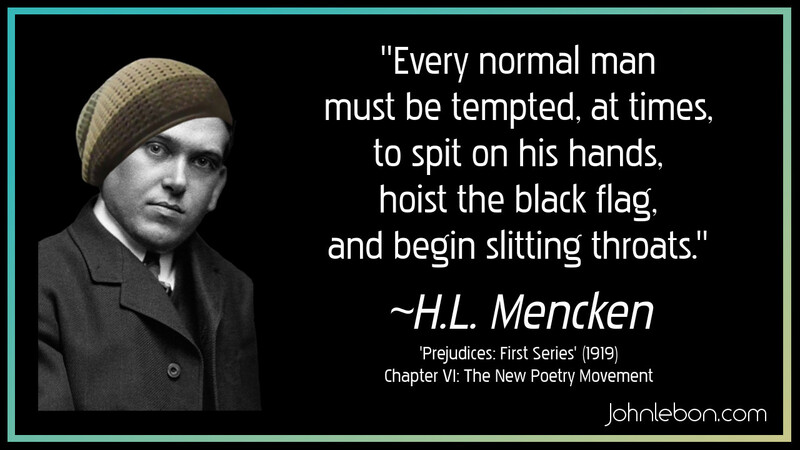 Source: Prejudices: Third Series (1922) – pdf available here as at 3-Sep-2017. Page 289 of that copy. 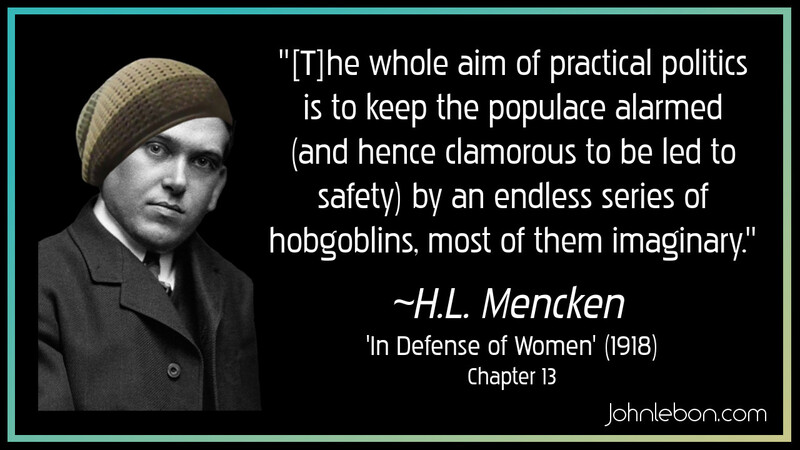 Source: In Defense of Women (1918) – available in pdf here as at 3-Sep-2017. Page 20 of that copy. 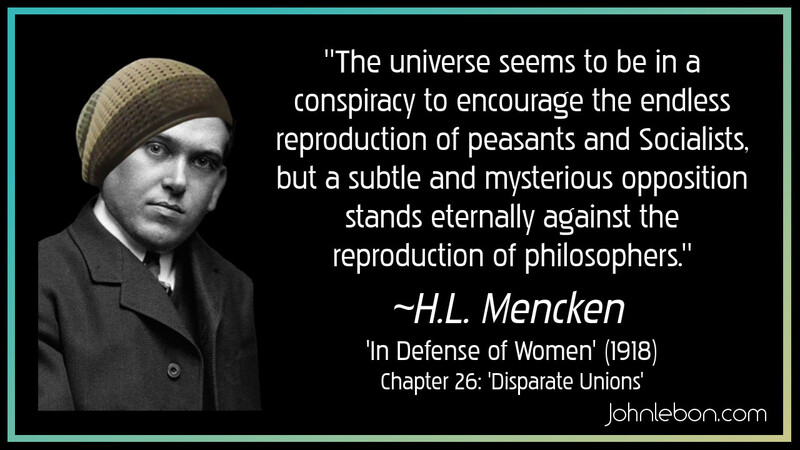 Source: In Defense of Women (1918) – available in pdf here as at 3-Sep-2017. Page 41 of that copy. Source: Prejudices: First Series (1919) – available in pdf here as at 23-Sep-2017. Page 90 of that copy. 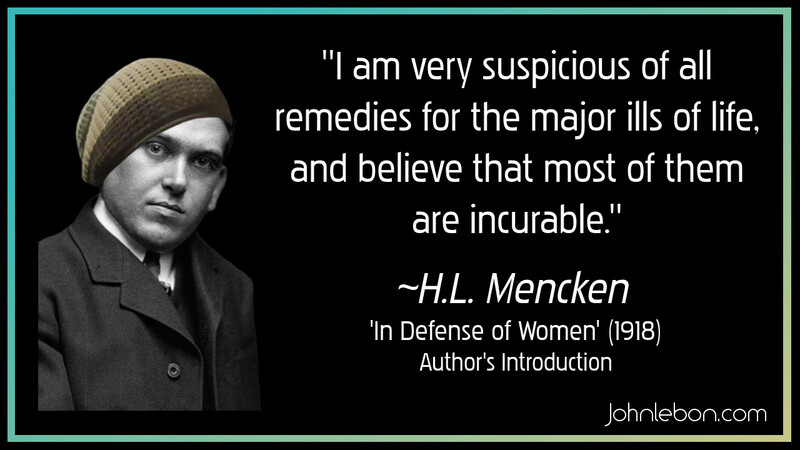 Source: In Defense of Women (1918) – available in pdf here as at 3-Sep-2017. Page vi of that copy.